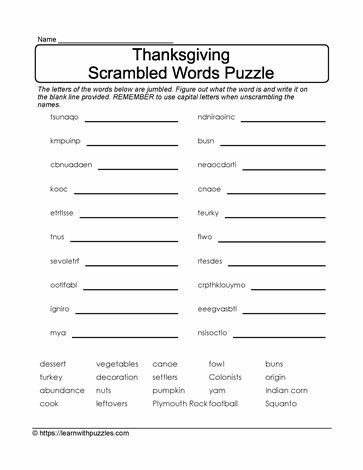 Practice vocabulary building and spelling with Thanksgiving theme based printable puzzles. Engage student learning in both home school environment and elementary grade 4,5,6 classrooms by downloading these puzzles to print and extending learning activities to include other areas of the curriculum. Differentiate student instruction as needed.